Mora Motor Car Co.; Frank Toomey & Co.; Omar Motor Co. - aka Child’s Automobile Co.; Mora Power Wagon Co.
Regas founder, James Harry Sager, began manufacturing bicycle accessories with a partner, Willard G. Rich, as the Rich & Co. in 1891. Rich sold his share in the firm to Sager in 1895, who reorganized as the Sager Mfg. Co., its address 138 North Water St., just one block east of St. Paul St. At that time the company’s most popular product was ‘cycle saddles’. 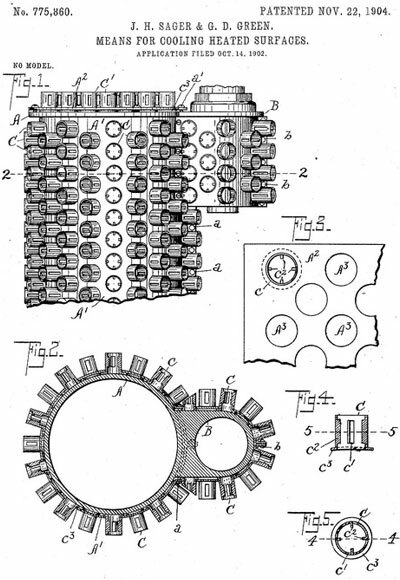 In 1899 Sager add bicycle gears to the product line, reorganizing as the Sager Gear Co. The firm carried Orient, Ariel, National, Record, Stearns and Regas bicycles; Orient motorcycles and Winner Gasoline and Woods Electric automobiles. “AUTOMOBILES! Don't Be Deluded! You Are Not All Engineers? 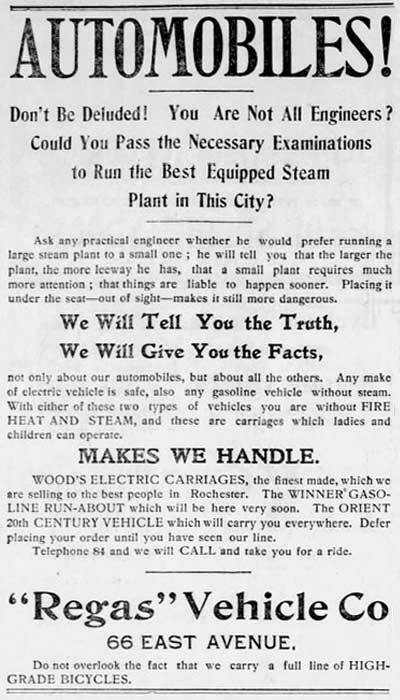 Could You Pass the Necessary Examinations to Run the Best Equipped Steam Plant in This City? “Ask any practical engineer whether he would prefer running a large steam plant to a small one; he will tell you that the larger the plant, the more leeway he has, that a small plant requires much more attention; that things are liable to happen sooner. Placing it under the seat out of sight makes it still more dangerous. “We Will Tell You the Truth, We Will Give You the Facts, not only about our automobiles, but about all the others. Any make of electric vehicle is safe, also any gasoline vehicle without steam. With either of these two types of vehicles you are without FIRE HEAT AND STEAM, and these are carriages which ladies and children can operate. “MAKES WE HANDLE. WOOD'S ELECTRIC CARRIAGES, the finest made, which we are selling to the best people in Rochester. The WINNER GASOLINE RUN-ABOUT which will be here very soon. The ORIENT 20th CENTURY VEHICLE which will carry you everywhere. Sager also developed his own motor bicycle, three of which were entered in a September 1901 New York-Buffalo Endurance Run, the September 11, 1901 issue of The Horseless Age recording the list of entrants of which Nos. 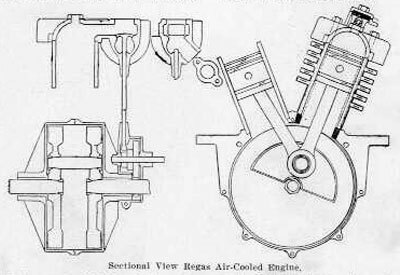 87, 88 and 89 were Regas Motor Bicycles of 1 ½- and 2 ½-hp, piloted by J.H. Sager (no. 87, 1 ½-hp), G.D. Green (no. 88 2 ½-hp) and Warren L. Stoneburn (no. 89 1 ½-hp). 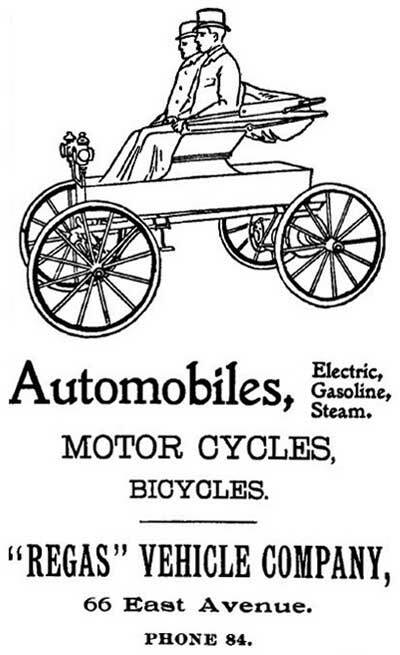 The death of President McKinley ended the race prematurely at Rochester instead of Buffalo and the September 18, 1901 issue of the Horseless Age noted that none of the Regas Motor Bicycles made it past Albany, with only 41 of the original 89 entrants making it to the premature finish in Rochester. 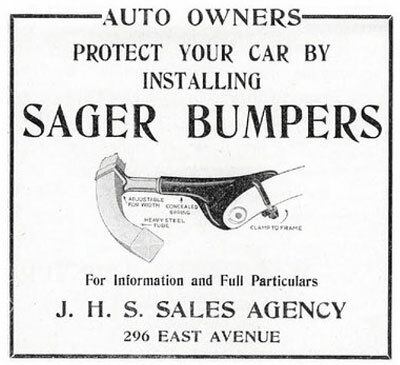 The top finishers were all automobiles, and within two years Sager would began manufacturing his own automobile. “COMPANY INCORPORATED - Regas Automobile Manufacturing Company Filed Papers With County Clerk. 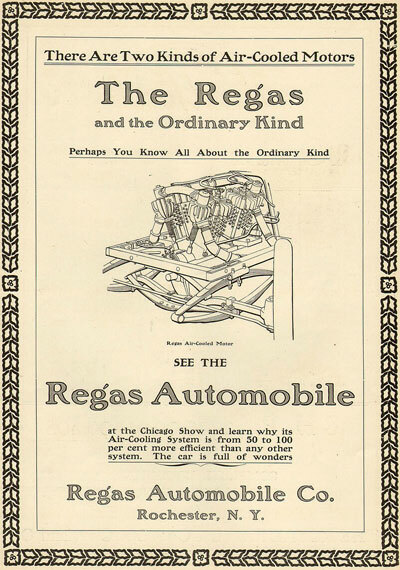 “The Regas Automobile Mfg. Co., of Rochester, NY, has been incorporated with $100,000 capital stock for the purpose of buying, manufacturing and selling automobiles and accessories. The directors are J. Harry Sager, Thomas B. Dunn, Carroll E. Bowen, and Robert C. Kershner, of Rochester and L. Louis Willard, of Binghamton, NY. 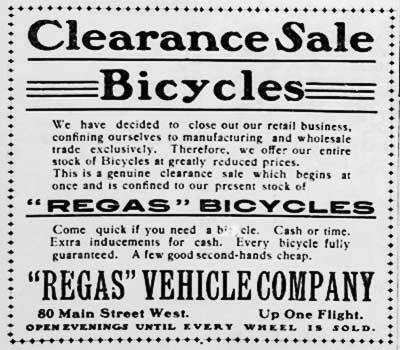 The company has no connection with the Regas Vehicle Co. which will retire from business, and the Regas spring frame for bicycles, which has been marketed by that concern, will still be manufactured by J. Harry Sager. In addition to manufacturing automobiles, Sager was also interested in politics, the October 26, 1903 issue of the Democrat & Chronicle lists him as a candidate for the New York State Assembly, 3rd District on the Prohibition Party ticket. His home address at the time was 53 Lake View Park, Rochester. 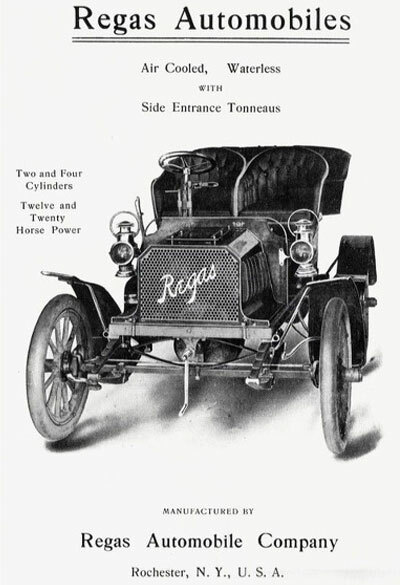 The first Regas automobile was a small, single-cylinder 7 hp air-cooled runabout on a 72-inch wheelbase chassis which sold for $750 in 1903, and the December 5, 1903 issue of the Automobile included a listing of the New York and Chicago Automobile Show participants, both of which would include the Regas Automobile Co. as an exhibitor. “Two interesting additions to the growing family of air cooled cars are being placed on the market for the 1904 season by the Regas Automobile Company, Rochester, NY. 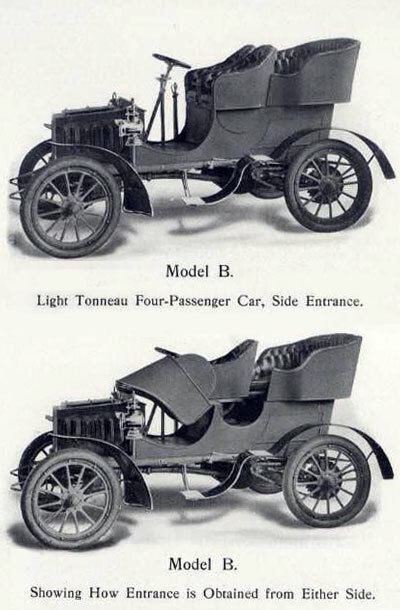 Model B is the light car being furnished with a detachable tonneau with side entrance, seating four persons. 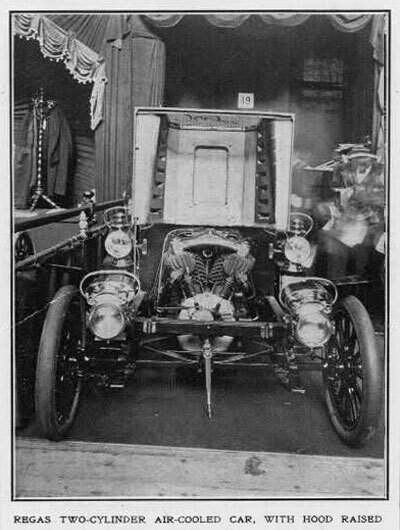 With the tonneau removed the car is transformed into a Stanhope runabout, seating two persons. The second car is known as Model G, and is a touring car, having a tonneau body with side entrance and seating five persons. “As the higher powered and more ambitious product, the touring car, Model G, merits first attention. Its power plant consists of a four cylinder vertical engine, placed vertically in front under a bonnet. These cylinders are 4 inches by 5 inches and are cast in pairs, one pair being placed behind the other. This engine develops 20 horsepower at a speed of 1,000 RPM. There is one crank to each pair of cylinders, and, of course, two flywheels. Splash lubrication is employed, fed by a sight feed automatic lubricator. The inlet valves are automatically operated the pipes being 1 ¼ inch in diameter, while the exhaust pipes are 1 ½ inch. Jump spark ignition is employed, and the engine speed which, ranges from 300 to 1,000 RPM, is controlled by both throttle and sparking advance. “The transmission is of the individual clutch type, giving three speeds forward and reverse. Each gear is independent of the other, and all are operated by a single lever. All gears are constantly in mesh, running in oil bath. There is no noise and no possibility of stripping or sticking. The drive is by shaft with forged universal joints from engine to transmission, and double chain drive direct to rear wheel. The brakes are applied by bands on each of the driving wheels. “The cooling system is both novel and effective. The cylinders are straight cast-iron tubes surrounded by perforated sheet steel jackets, through which project slotted copper tubes, flanged at cylinder end and producing both radiation and circulation, as the hot air passing out of the tubes draws cool air in through the slots. There are 150 of these perforated copper tubes to each cylinder, 1 5/8 inches long by 1/2 inch in diameter, twenty two gauge. One end of the tube is flanged and shaped to fit contour of cylinder, to which they are held rigidly by the perforated sheet steel jacket surrounding the cylinder through which the tubes project. “The frame is made of angle iron, trussed. Full elliptic springs front and rear are used together with artillery wood wheels, and 30 inches by 4 inches Fisk detachable tires. Wheelbase 86 inches, tread 56 inches. Solid square axles front and rear. Hyatt roller hearings in all four wheels. Transmission gear and differential in one all tight case. “Two mufflers are fitted, one for each pair of cylinders. These are very efficient and are claimed to do away absolutely with back pressure. Wheel steering is used, the steering column being joined and hinged forward. “As stated, the entrance to the rear of tonneau is from the side, the front seat being thrown forward. Three persons can be comfortably seated here, in addition to two in the individual front seats, which are hinged, lifting forward. The seats are leather trimmed with brass beading around the tops. “The smaller car, the Model B, is similar to the G in its main features. It is fitted with a two cylinder vertical engine, however, developing 13 horsepower at 1,000 RPM and 15 horse power at 1,200 RPM. These cylinders are 4 ½ inches by 5 inches, and are cooled in the same manner as are those of the touring car, 160 instead of 150 copper tubes being attached to each cylinder. “A motor of original and striking design and an ingenious side entrance to the tonneau are features of the Regas car, which was shown for the first time. 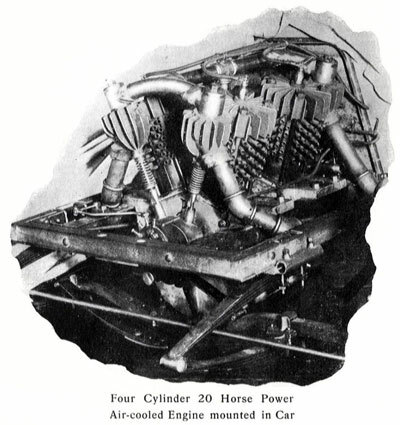 The motor which is made both with two and four cylinders has a particularly novel appearance, both on account of the position of the cylinders, which are set V-shaped on the crankcase, but also on account of the long hollow cooling tubes with which they are studded and which give them a curious porcupine effect. Projecting from each cylinder are 172 perforated copper tubes, 1 ½ inches and one-half inch in diameter, which not only present a large amount of radiating surface but also provide circulation, the hot air passing out of the ends of the tubes drawing in cool air through slots in the tubes near where they are inserted into the cylinders. The tubes are flanged and shaped to fit the contour of the cylinder to which they are held rigidly in place by a perforated sheet steel jacket. This device is claimed by its makers to be the first instance in which both radiation and circulation are obtained without mechanical means. “The side entrance tonneau has practically the same appearance as the ordinary tonneau except for the absence of the back door giving a long comfortable back seat. Entrance is obtained by tipping forward either of the individual front seats, which are separately hinged to the body on their front edges. When tipped forward each seat carries with it a semi-circular portion of the side of the tonneau, making an entrance which is easily reached by two steps, one in the usual position which also gives access to the front seats and the other at the height of the frame and directly opposite the tonneau entrance. The rear fender is curved to pass under the upper step and is partly supported by it. The entire device is both practical and ornamental. 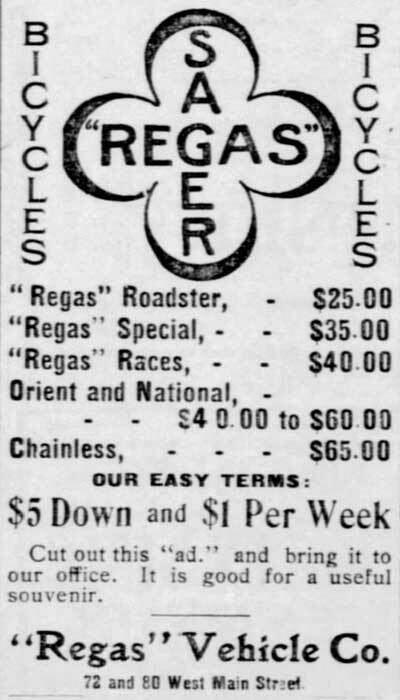 “Regas Automobile Company, Rochester, NY. “Model ‘B.’ light, four passenger tonneau; side entrance gasoline; motor of four cycle type; two upright cylinders; 4 ½ x 5 cylinder, set V-shape to give room for circulation between them, cylinder air-cooled by 172 perf. copper tubes 1 ½ inch long by ½ inch diam. ; automatic inlet valves; 12 hp; 3 speeds forward and 1 reverse; automatic inlet valves; speed 300 to 1,200 rpm, giving 12 hp; throttle and spark control; individual clutch transmission; weight 1,500 lbs., price $1,500.00. “Side entrances and air-cooled motor are leading features of the Regas model B four-passenger touring car. This car is one of the new side entrance vehicles at the show, and its makers deserve commendation for being pioneers in this excellent method of entrance and exit. Their air-cooling device consists of perforated sheet steel jacket, through which are placed 172 perforated copper tubes. 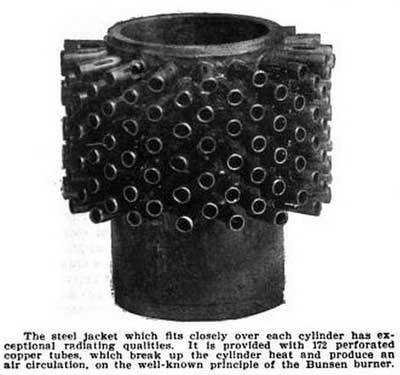 The jacket with the tubes is then placed over the cylinder, to which it fits closely and gives perfect contact. With these tubes, ample radiating surface, both inside and outside of the tubes, is obtained, and the perforations draw in and cool air as the hot air passes out. This system is founded on the well-known theory of the Bunsen burner. Air cooling permits of machining the cylinder inside and out, and so giving cylinder walls of even thickness, which admits of perfect expansion. “The side entrance to the tonneau is effected on either side by tilting front seats. This model has 28 inch wheels, 3 inch tires, individual clutch transmission, 80 inch wheel base, Loomis carburetter, spur gear differential, chain drive, and powerful hand brakes on each hub. 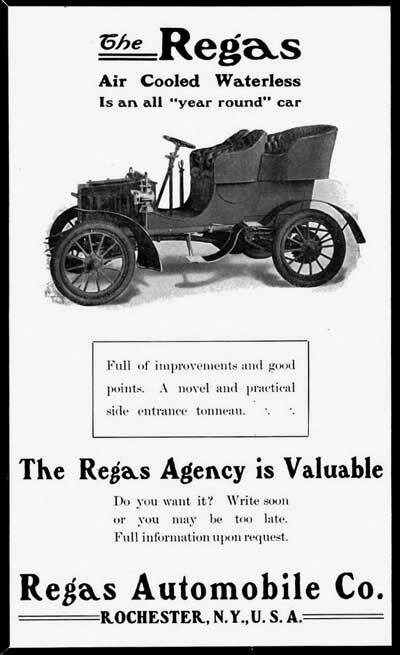 “The Regas Automobile Company of Rochester, NY, have two models for this season’s trade. Model ‘B’ is a light four passenger tonneau car fitted with a two-cylinder vertical air-cooled motor located under the hood, which is capable of generating over 12 horse power. The side entrance is a feature of this model as it is also of model ‘C’. “Model ‘C’ in general design is similar to model ‘B,’ but has a wider tonneau with room for three, and has a four-cylinder vertical motor with cylinders mounted in pairs, one behind the other, making a very compact and powerful engine. 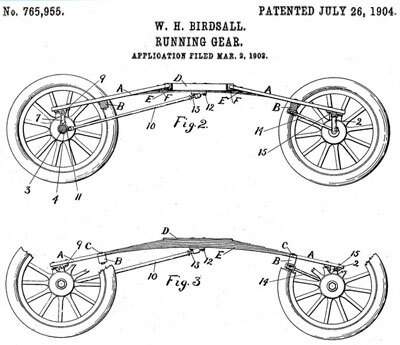 Model ‘C’ has an 86-inch wheelbase and 56-inch tread, and model ‘B’ has an 80-inch wheelbase and standard tread. Both of these models are replete with improvements that are in the van in their respective classes, noticeable among which are the air-cooled motors, in which fans are not needed, and the side entrance tonneau with access obtained by tilting front seats. The materials used throughout are of the best procurable, and upon these has been expended the highest grade of American workmanship. The general design of these cars compares favorably with anything on the market, and at all of the recent auto shows they came in for searching analysis and a great many commendations. “The air-cooled engines are the most characteristic portion of the Regas cars. These motors are constructed in two sizes, the two-cylinder and the four-cylinder one. In the two-cylinder engine the bore and stroke are 4 ½ and 5 inches respectively, and in the four-cylinder variety the dimensions are four and five inches. 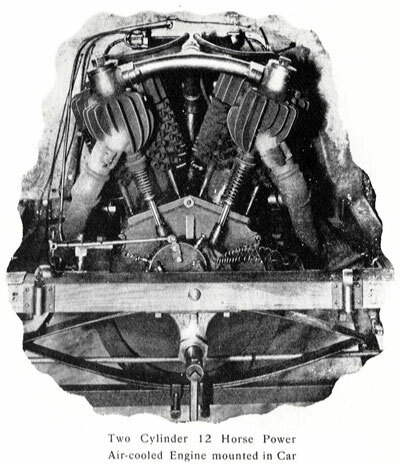 Both of these are of the twin-cylinder class and are mounted vertically in front under the hood, and are set V-like to permit of as free air circulation as possible. Each cylinder is covered with a steel jacket through which are inserted tubular copper radiating members and the engine heads and castings for the valves are deeply flanged to assist radiation. “In air-cooled motors the radiating members must offer the greatest possible radiating surface and the metal used must be of the highest radiating quality. In the Regas the steel jacket which fits tightly to the cylinders is provided with 172 perforated copper tubes 1 ½ inches long and ½ inch in diameter, which serve to break up the heat generated by the rapid explosions in the cylinders. These tubes in themselves provide an extra-large amount of radiating surface, but in addition create air circulation; for when the hot air passes out of the ends of the tubes it draws the cool air through the perforated slots, which is the same system as that used in the well-known Bunsen burner. The copper tubes have shoulders on the end next to the cylinder which keep them in constant contact with the cylinder walls. The hot air passing out must necessarily draw cool air in, and this induced air circulation obviates the necessity of a fan or blower of any description. The cylinders being angularly mounted with ample space between them prevents the possibility of pocketing the air and also leaves a wide opening for natural circulation. “The two connecting rods work on one crank between two flywheels inside an aluminum case, giving splash lubrication to both cylinders. The inlet valves are automatic and very accessible, and the exhaust valves are directly below them and can readily be removed when the inlet ones are out. The engine speed varies from 300 to 1,200 revolutions, generates over 12 horse power and is controlled by both spark and throttle. “A carburetter made specially for these motors is used. It is of the Loomis type, float feed, and by its automatic construction gives a powerful and constant mixture at all rates of speed. “The Loomis muffler, which is proof against back pressure, is employed and the vehicles have wheel steering with Brown Lipe steering gear, 14-gallon gasoline tank under the rear seat, brass side lamps, horn, tools, and an option of Marble Swift friction transmission if desired. “The individual clutch type of transmission gives three speeds forward and one reverse. All gears are constantly in mesh and run in an oil bath within an oil tight case. Each gear is independent of all others and all are operated by a single lever, which admits of simple and quiet change of speeds. Any change of gear from high to low or vice versa can be instantly made at any time regardless of the speed of the car, and there is not the danger of stripping gears or loss of power. “The spur gear differential is integral with the transmission and the drive from the motor to the transmission is by universal joints and from the transmission to each rear wheel through powerful individual chains. The brake system consists of a very strong band brake on each rear wheel. “The side entrance tonneau marks this model as a leader in its class. The rear entrance has the objection common to all rear entrances, that of small individual tonneau seats that are of necessity small in order to permit of easy entrance. In the Regas car the entrance is accomplished by the tilting of either of the front seats as shown in one of the illustrations. A portion of the body raises with the seat and enables any one, large or small, to enter the tonneau comfortably from either side of the car without unfastening any bolts, locks or catches of any kind. The hinges at the edges of the front seats allow them to be tipped forward easily and steel pins on the bottom of the seats enter the recesses in the body and so hold the seat securely and eliminate all rattle and noise that might arise. “This body design combines that of the surrey and tonneau and obviates the disadvantages of both. In appearance it is identical with the popular up-to-date tonneau with the objectionable narrow back door not in evidence. The tonneau has a long comfortable back seat, which enables the occupants to face forward and does not compel them to have to brace themselves so as not to slide off the small corner seat. The continuous back makes a stronger, a roomier and a safer tonneau. It is easily detachable, and a lid provided, which gives the car a neat runabout appearance and allows ample carrying space for luggage, etc., a feature found on very few cars. The upholstering is of the best that can be had. The highest grade of leather is used; there are spring cushions in the backs and seats and a row of brass beading around the tops of all seats gives a most attractive finish. “A strong and durable running gear is a primary essential to the life of any car, if the wheel base is too short, the spring not of suitable strength or the axles weak, the general usefulness of the car is correspondingly impaired. 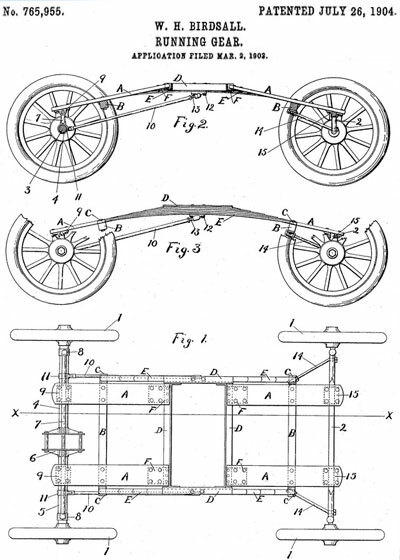 In the Regas an angle iron frame well trussed is employed and the full elliptic springs in the front and rear give as easy a riding vehicle as can be had. The artillery wood wheels with 12 spokes in each are 28 inches in diameter and are fitted with 3 ½ inch detachable tires. Solid square axles are used in the front and rear, and all four wheels are furnished with Hyatt roller bearings. 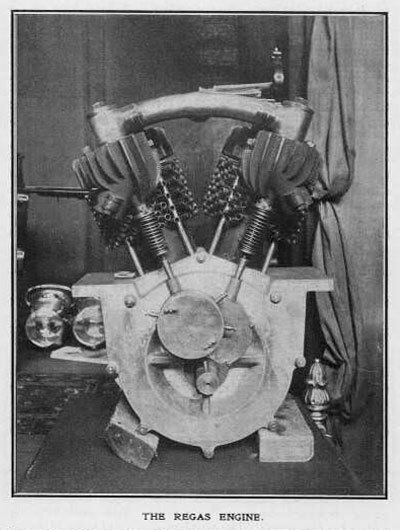 “The Rochester Gas Engine Company of Rochester, NY, experimented with a two-cycle air-cooled motor fitted with the Regas tubular radiators and have given out these results. 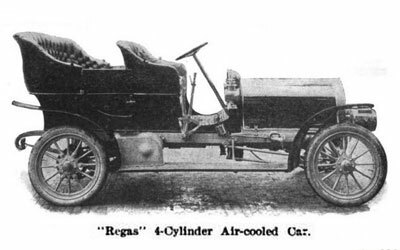 Although Regas had exhibited 5 cars at the National Automobile Show in New York City (January 1904) and at least one car at the following show in Chicago (Feb. 1904), several months later J. Harry Segar (as he preferred to be called) resigned from the company and its chief shareholder, Thomas B. Dunn, took over. J.H. 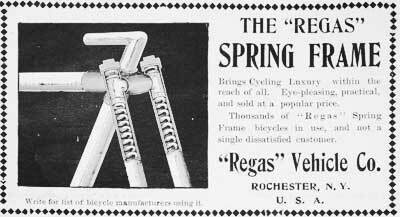 Segar is listed in the 1905 Rochester directory as a bicycle specialty manufacturer at his home address of 9 Brooklyn St. The 1906 directory lists a new firm, the J.H. Sager Co., spring makers, at the same address; J.H. Sager, president and Charles J. Iven, vice pres.,sec-treas. The 1907 Rochester directory provides a new address, 265 South Av., and a new product line, auto specialties. The firm remained at that address until 1918, when they relocated to 36 S. Water St. By 1920 the J.H. Sager Co. had moved to 138 N. Water St., remaining in business into 1929. Sager’s auto specialties business collapsed soon after the stock market crash and he relocated to the Rochester suburb of Scottsville, NY, where he ran a filing station right up until his passing in the mid-30s. 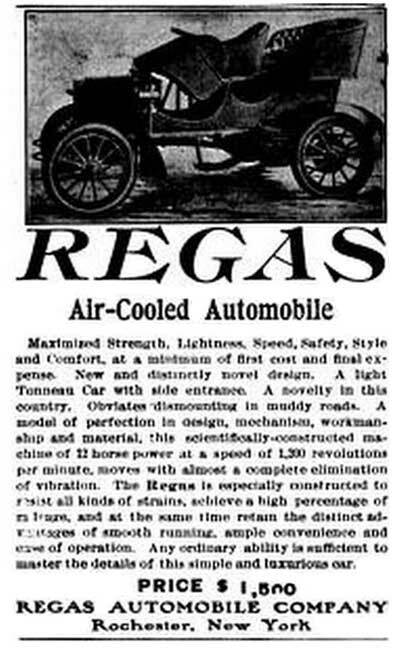 The Regas Automobile Company’s new president, Thomas Byrne Dunn, was born in Providence, Rhode Island on March 16, 1853. He moved with his parents to Rochester in 1858 where he attended public school and the DeGraff Military Institute. He founded the T.B. 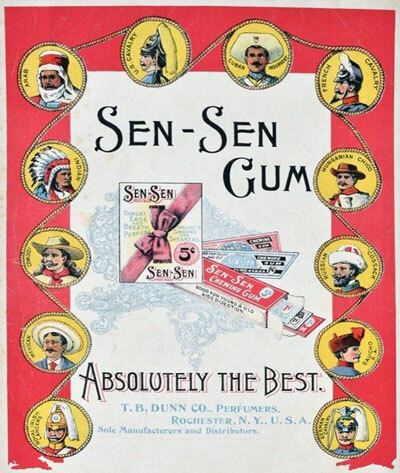 Dunn Co., 111 N. Water St., Rochester, which manufactured perfumes, extracts and Sen-Sen gum and breath mints. Dunn served as president of the Rochester Chamber of commerce from 1903 to 1906 and was appointed chief commissioner of the New York exhibit at the Jamestown (Virginia) Tercentennial Exposition during 1907. Dunn was elected to the NY State senate in 1907, becoming NY State Treasurer in 1908. In 1909 Dunn merged his company into, and became president of, the newly formed Sen-Sen Chicklet Co. which was capitalized at $6,700,000. He served as chairman of the Rochester Centennial Committee in 1912 and from March 4, 1913-March 3, 1923 served as the region’s US Congressman, with two terms as chairman of the House Committee on Roads. He was an alternate delegate to the 1920 Republican Convention and on July 2, 1924, the 71-yo passed away, just sixteen months after leaving Congress. Birdsall came up with an all-new Regas with an air-cooled four on a 100-inch wheelbase with a three-speed sliding gear transmission. The 1905 Rochester City Directory lists Birdsall (for the first time) as a mechanical engineer, with a work address of 45 South Ave. and a home address of 120 Chestnut St.
“Rochester, NY, Oct. 15 - Monroe county, in New York state, famous since the earliest days of cycling for its fine sidepaths, now takes the lead in good road construction. The county, of which the city of Rochester is the seat possesses some 240 miles of sidepaths for bicyclists, the riders being taxed 25 cents a year for a tag which permits them to ride on the paths. If the present plans are put through, in another 10 years the county will possess that many miles of good roads. The reason the cycle paths are given so much importance is the fact that the same men who worked so energetically for sidepaths are now pushing the good roads movement, foremost among these being Senator William W. Armstrong, of Armstrong baggage bill and Higbie-Armstrong good road law fame; the former compelling railroads in New York state to carry bicycles as baggage and the latter law which gives state aid in building roads. “Last week a good roads convention was held at Rochester, the day sessions being held in the supervisors’ rooms in the county court house and the evening sessions in the chamber of commerce rooms, the convention receiving the hearty support and co-operation of both the board of supervisors and Rochester chamber of commerce. Speakers of prominence in the cause of good roads were present from all sections of the country. The manufacturers of good roads machinery and the publishers of good roads literature were also on hand to assist the project…. 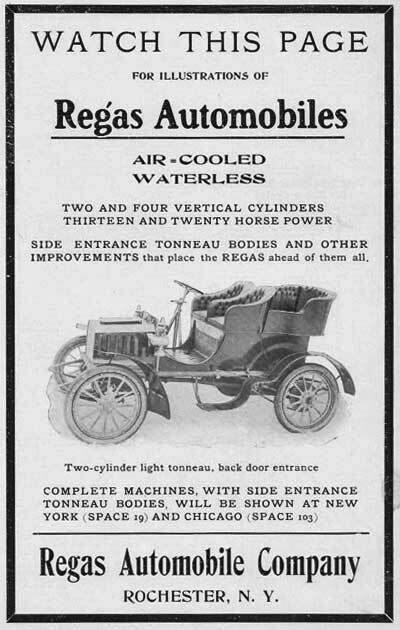 “Regas Automobile Co., 45-47 South avenue, Rochester, NY, are now on the market with their 4-cylinder gasoline car and we illustrate the same herewith. The cylinders are 4 ½ in. bore and 5 in. stroke and are cooled by the ‘Regas’ patent air cooling system. The engine is of the vertical type and develops 28 to 30 horse power. It is placed in front and drives through a 3-speed-and-reverse sliding gear transmission. The wheelbase of the car is 100 inches. At around the time that Thomas B. Dunn debuted the Birdsall-redesigned 30 hp 4-cylinder 1905 Regas automobile, its designer, William H. Birdsall was introduced to Samuel H. Mora (b. 1868 - d. March 5, 1918) who at the time was sales manager of the Eastman Kodak Co., Rochester, New York’s largest employer. It is entirely possible that Mora had purchased a Regas automobile, although evidence is lacking. Regardless, at some point prior to or during 1905 the two auto-minded men met and made plans to design and produce their own motor car. By the time of Mora’s unanticipated departure from the Eastman Kodak Co., (late 1905/early 1906, the exact date unknown) he and Birdsall had more-or-less finalized the design of the first Mora automobile, which was unsurprisingly similar in appearance to the 1905 Regas. By that time Mora had already inked a deal with the Village of Newark, New York’s Board of Trade to furnish him a plant to build his self-named motor car. That story is covered on the Mora page. 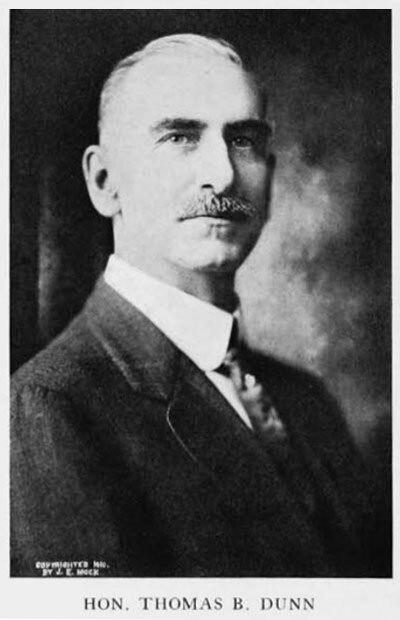 William H. Birdsall's career can be found on his own page. There are no known Regas cars remaining. John Zornow - Newark's Mora Motor Car Co.